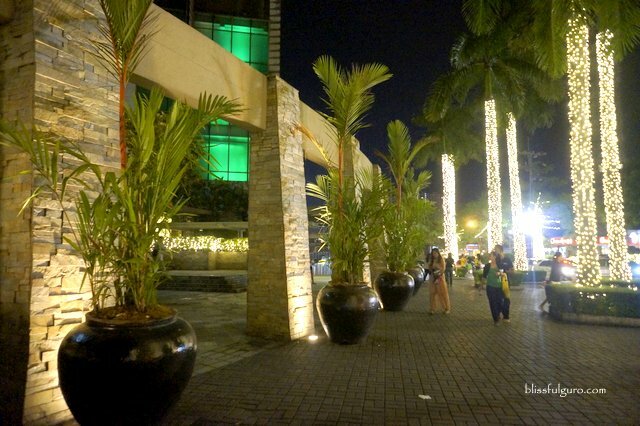 Can you already feel the chilly weather at night? Have you been to the malls and heard the songs they’re playing now? And it’s here once again. 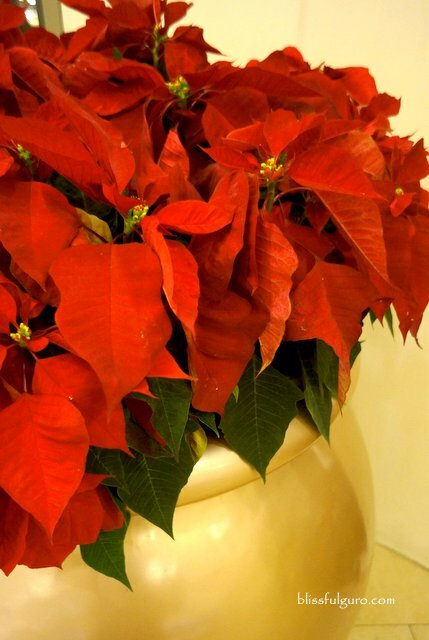 The busiest and merriest season of the year – Christmastime! 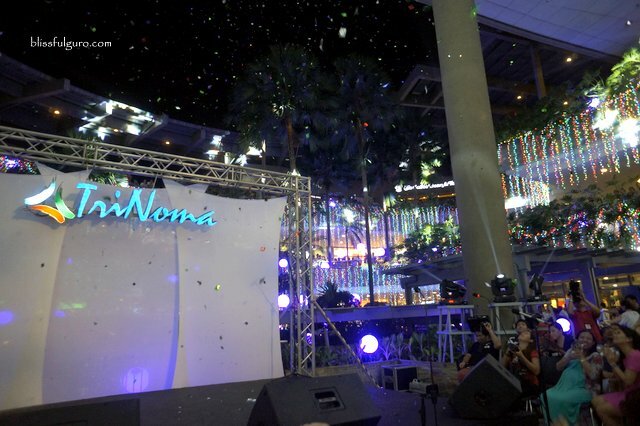 And TriNoma, my favorite mall, has launched for the second time the Merry Musical Lights Show. 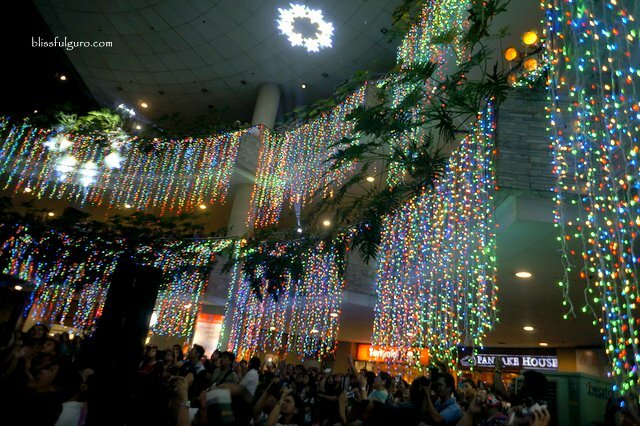 The annual lights and sounds show (which lasts for about 7-8 minutes) of TriNoma commenced last November 9, 2013. 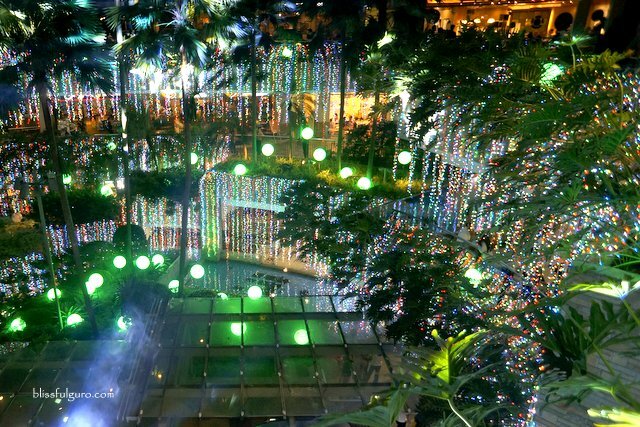 This year’s theme is “Magical Circus”; expect more fun and lively show with this year’s display of lights at the TriNoma Garden Restaurants. This show is free and is perfect for families, friends and lovers alike. I remembered same time last year when me and my big brother were dining in one of the restaurants in the garden area of TriNoma. I’ve never heard of the lights show before so when the lights were dimmed and someone announced the start of the show we were both glued on the sparkling lights spread around the garden. It was fun how those lights danced with the music that was being played. 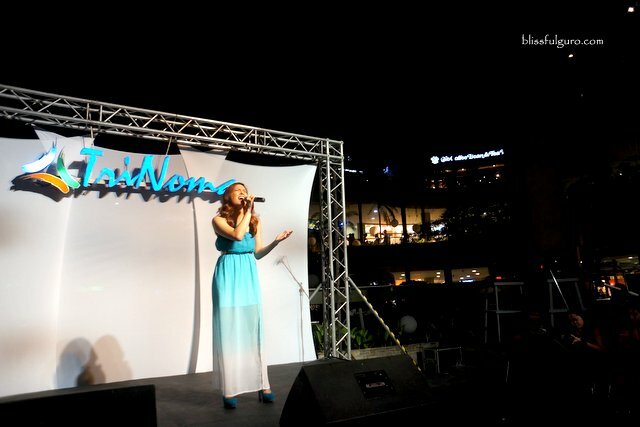 For a few minutes, we felt the Christmas spirit together with the shoppers and diners at TriNoma. 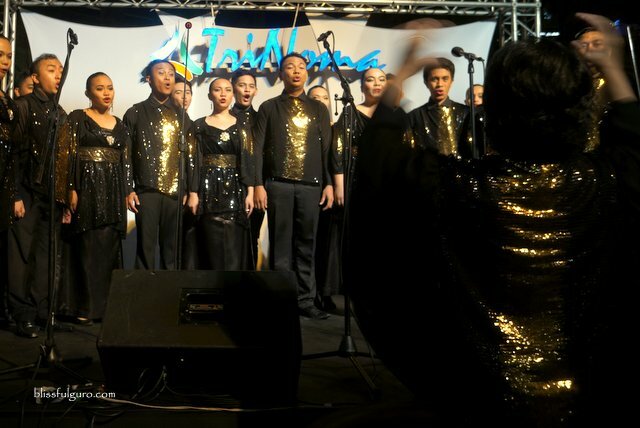 The maiden show this year was graced by Ms.Nikki Gil and the UP Concert Chorus. 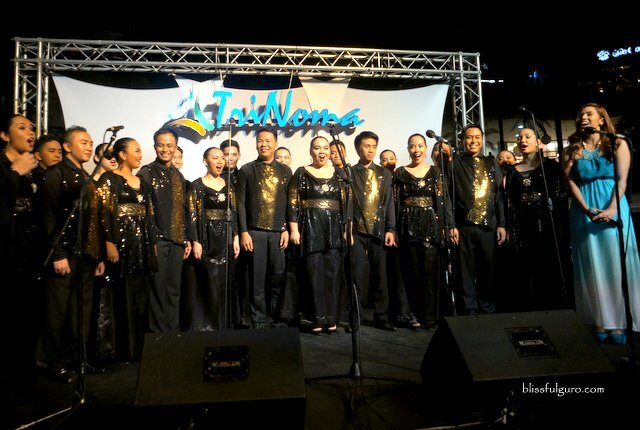 They provided special performances that kept the spectators entertained while waiting for the lights show to start. After the performances, the people joined the hosts as they started the countdown for the lights show. And then the show began and everyone was cheering and was busy turning their heads with delight. Christmas instrumental tracks were played such as; “Joy to the World”, “Hark! 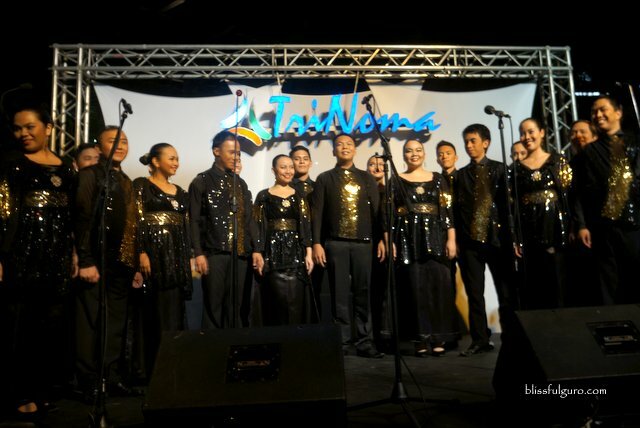 The Herald Angels Sing”, “Noche Buena” and “Mano Po, Ninong”. 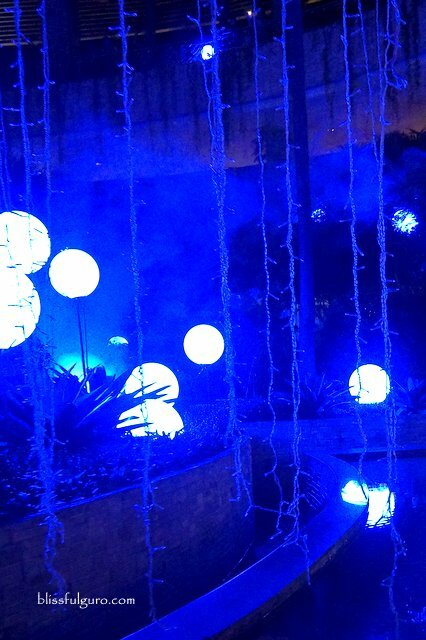 The playful sparkling lights and the color-changing spheres scattered around the Garden Restaurants seemed to dance with the songs that are being played. 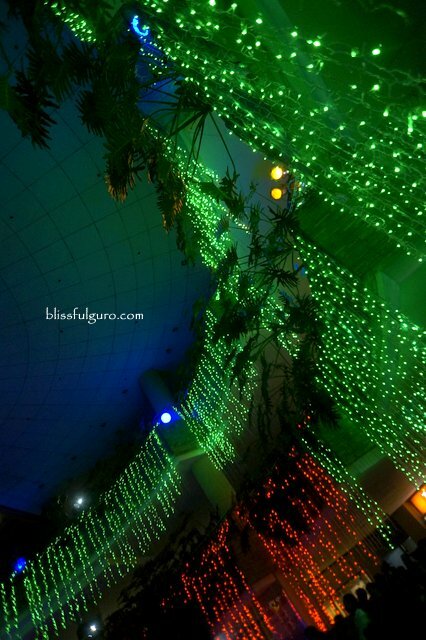 People were smiling and were so captivated with the lights show. 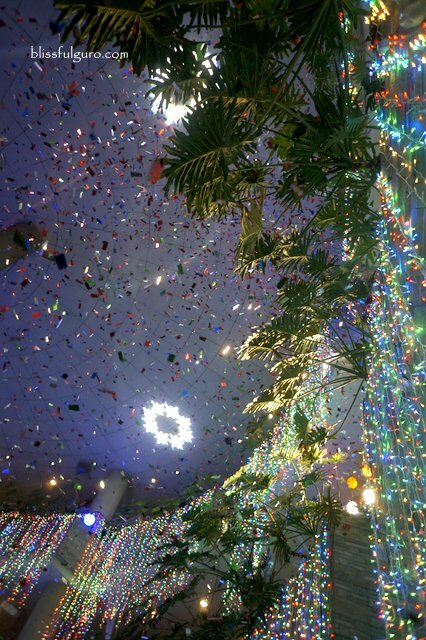 Confetti showered the Garden Restaurants after the Merry Musical Lights Show’s finale. Everyone was cheering with excitement and you could feel the Christmas spirit right there. The maiden show was a success. And the best part is that it’s only just the beginning for the show will run from November 9, 2013 to January 5, 2014 at 7pm, 8pm and 9pm. As if we were not yet satisfied with the first performance, me and my buddy waited for the second show and positioned ourselves on the topmost level of the TriNoma Garden Restaurants. We were again thrilled as the lights dimmed and the music started to play. 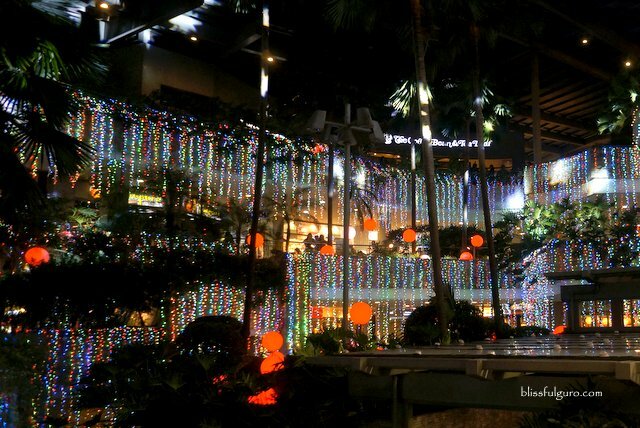 The playful sparkling lights once again adorned the area. 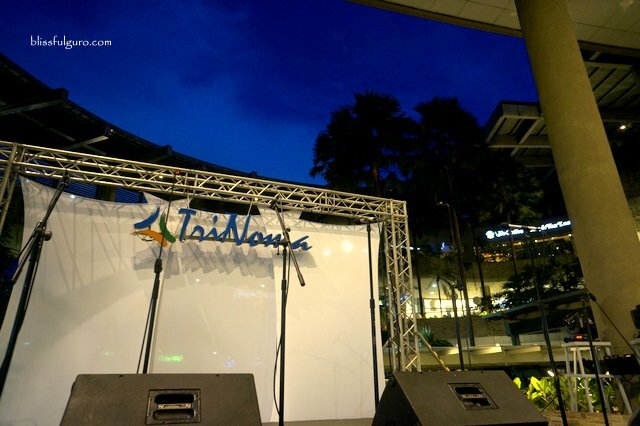 Cameras and video cameras are very much encouraged and the people from TriNoma are giving away some surprises if you share your photos on their Instagram account. Check out for the details here. 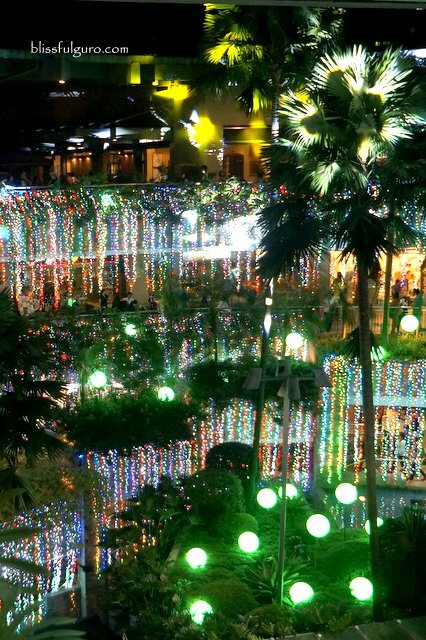 The Philippines is dubbed to be celebrating the world’s longest Christmas. We all knew when we start the Christmas countdown (September) and we even prepare those long Christmas lists as early as June. 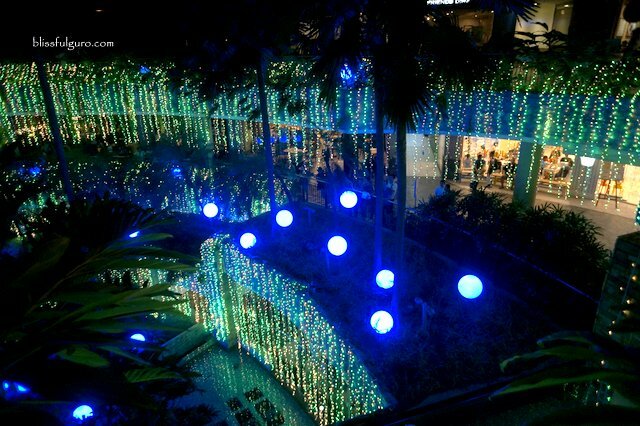 This year, celebrate Christmas with the Merry Musical Lights Show at the Garden Restaurants area at TriNoma mall. It’s free and it’s fun! di ko to natsambahan ah sayang yan ang exit ko kapag tumatawid ako psakay papunta ng c5. yey! witnessed it last saturday with the fam bam while having dinner at David's Tea House. beautiful!! !